X-Lite is a brand new Epoxy technology developed specifically for performance boards. This is lighter, stronger and more Eco than a traditional PU/Polyester board. This new innovative technology is used exclusively on the Channel Islands model, the POD MOD. 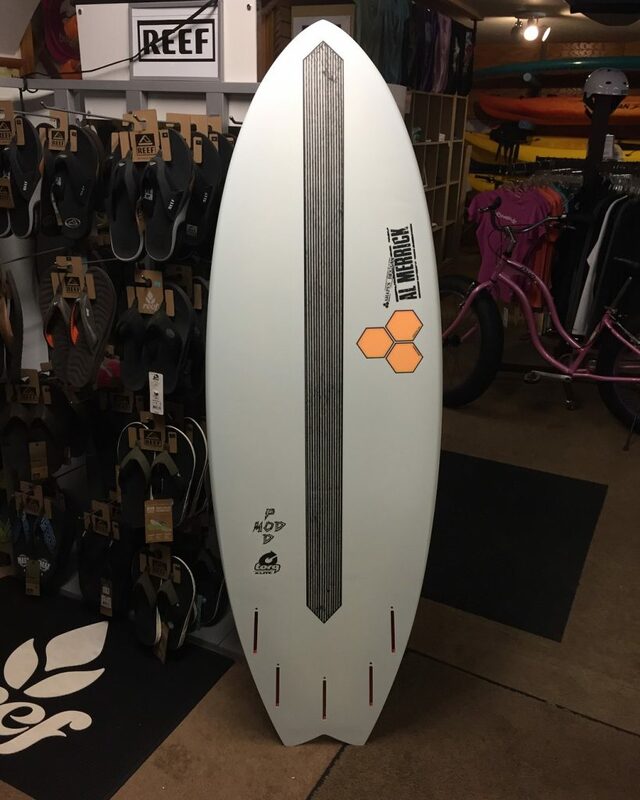 The Channel Islands Pod Mod is great board for the surfer who wants to catch lots of waves, but doesn’t want to sacrifice performance. With a wider nose and tail this board catches waves easy and holds speed through small mushy flat sections. 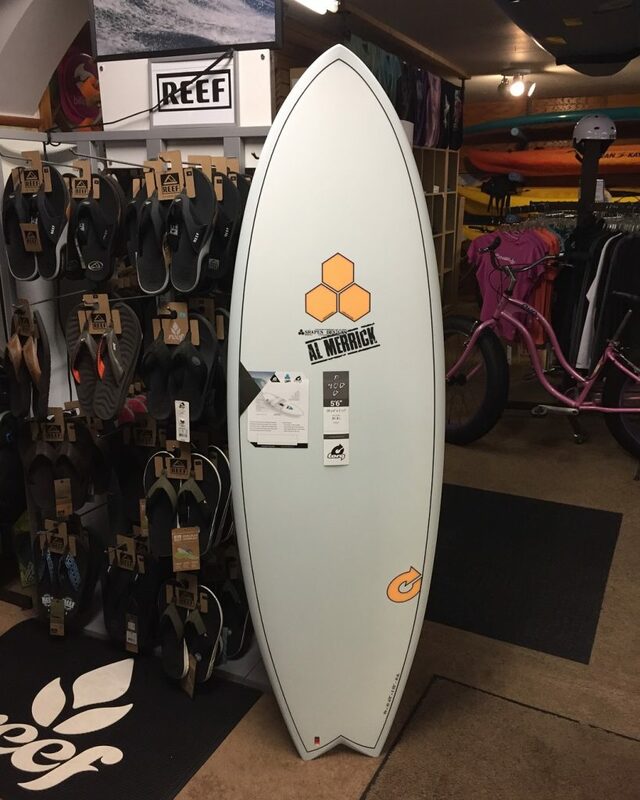 It’s a great board for anyone looking for a board that’s still fun even when the waves are small and mushy. When the surf gets good this board goes crazy fast! Recommended wave size from knee high to overhead and a half. Experienced surfers ride this board 3”- 6” shorter than you are tall. 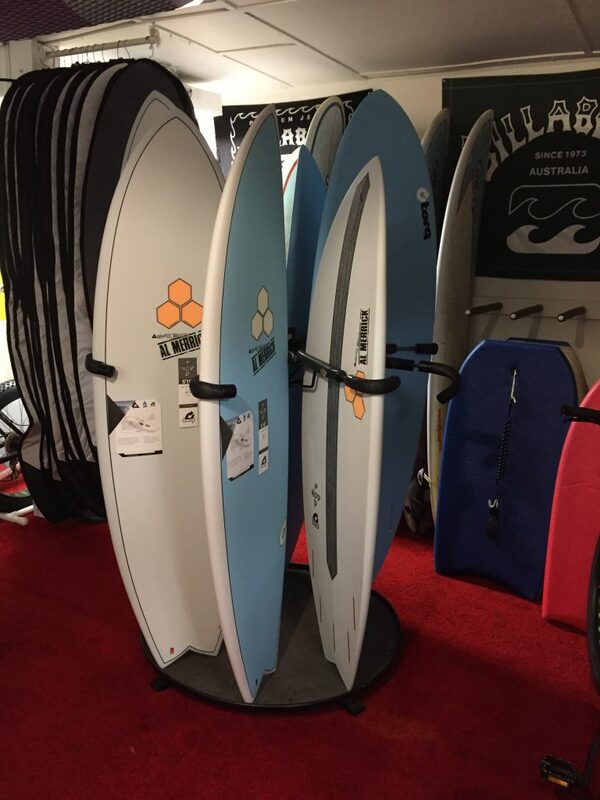 Posted in New Products and tagged Channel Island Surfboards, Channel Islands Pod Mod.